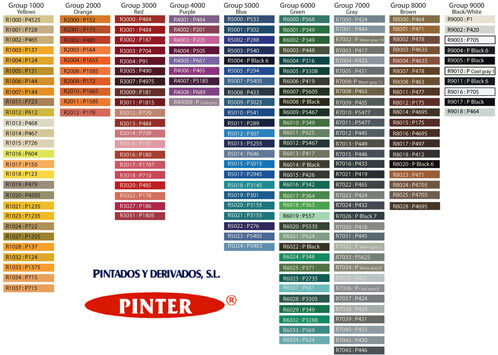 Pinter is a leader in industrial painting both by powder coating and in liquid paint applications, with two automatic lines of pretreatment of 6 and 8 phases respectively, for coating powder paint and a manual with capacity for large pieces up to 7 Meters long and 2 tons in weight. Our liquid paint line has 4 installations of pressurized cabins, tempered and equipped with state-of-the-art humidifiers and a new automated and robotized line for the application of liquid paint to water. 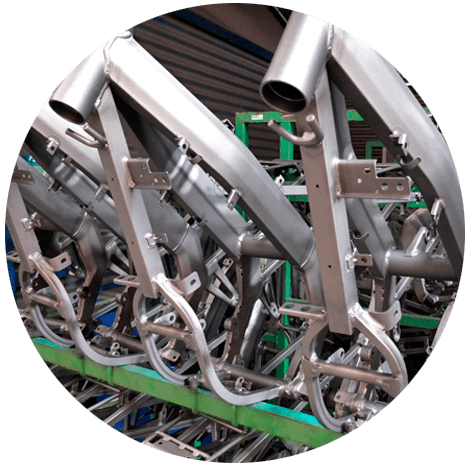 It is an organic coating that provides excellent performance to the treated parts, which greatly improves its protection against corrosion and provides excellent and different finishes. 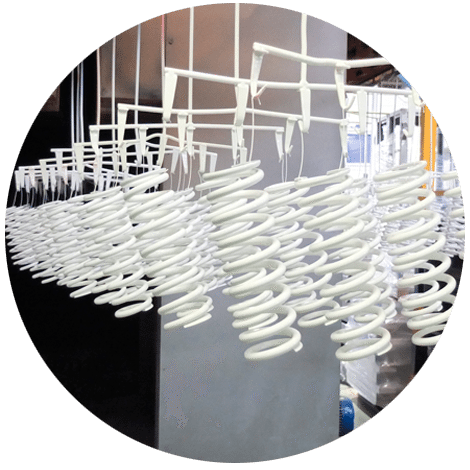 Powder coating is a thermal polymer, which responds to heat. 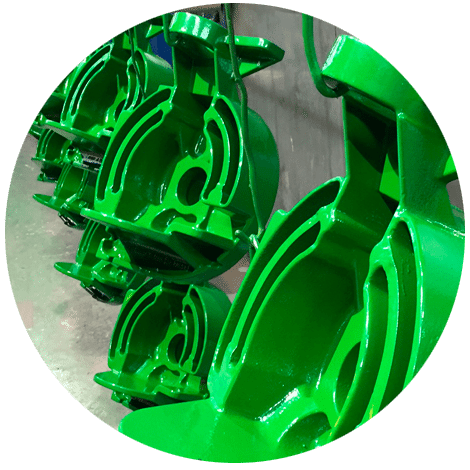 When the powder paint is baked, it reacts with the other chemical groups in the paint polymer and increases the molecular weight and improves the performance properties of the material, creating a uniform and smooth pigment layer. One of the most common areas where we can see powder paint is in processed aluminum objects and appliances as well as auto parts and motorcycles. Additional benefits such as immediate drying and respect for the environment. 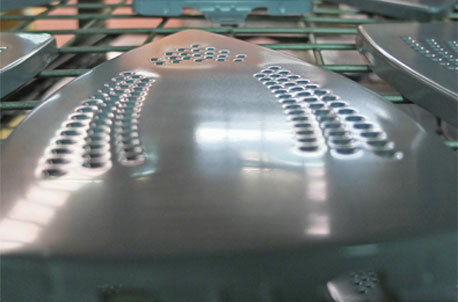 Liquid paint offers great flexibility and great cost optimization. 3 industrial units with automatic chains for dust paint application and 4 units with pressurized cabins for liquid paint, with a total area of 10.000 m2. Inside the high efficiency dust painting zone, where exists manual and robotized painting, nowadays we paint more than 17 million of pieces each year. There is also available a pre-treatment tunnel with 8 phases (needing oil-phosphatizing), a total filter for atmosphere emissions and in each of the 3 industrial units we have 2 independent cabins for fast color changes for little or large series. The liquid painting system is equipped with pressurized cubicles for all kind of plastic, metal and other materials painting. 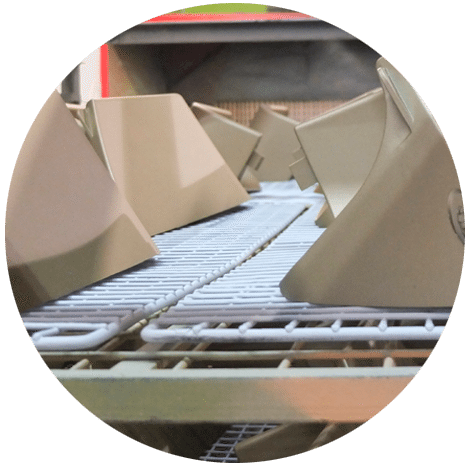 Each step is done subjected to high quality requirements. We paint more than 6 million pieces annually. 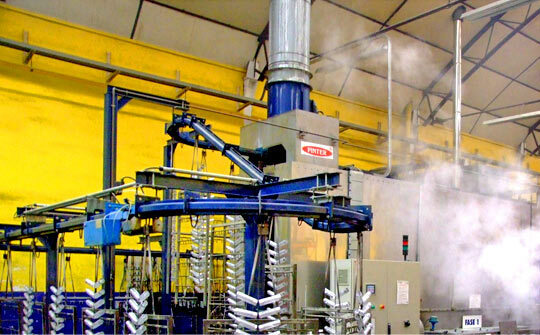 Quality and efficiency PINTER counts with new generation technology support facilities which let us complete the production process, assure its quality and reach an efficient and effective customer service, accomplishing the environmental and technical normative. Assembly, finishing touch, label and packaging chains. Quality controls and assay labs with all the required equipment: QUV ray cavity, draw, and conical mandrel bender, falling mass impact, shine measurement equip, micrometer, strength, etc.